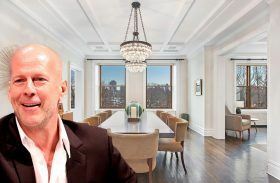 Bruce Willis and his wife Emma Heming Willis found a buyer for their home at 271 Central Park West for $17.75 million within a week of listing the six-bedroom co-op after deciding to downsize a bit. According to reports the pair have just bought a new Upper West Side aerie at One West End at 1 West End Avenue. 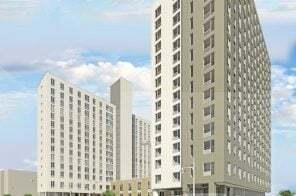 The four-bedroom condominium in the 41-story tower, part of the in the massive Riverside Center project designed by Pelli Clarke Pelli and Hill West Architects, spans over 3,000 square feet and was last listed for $7.9 million. 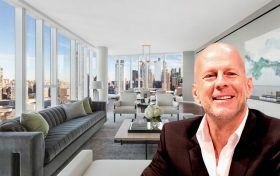 Just a little over a week ago, Bruce Willis and wife Emma Heming Willis put their six-bedroom co-op at 271 Central Park West on the market for $17.75 million. They bought the duplex apartment back in 2015 for $17 million (from Milwaukee Bucks owner Wesley Edens), after Willis unloaded his nearby El Dorado co-op for $13 million. The couple recently decided to scale back since they don’t spend enough time in the Upper West Side spread, and lucky for them the unit is already in contract, according to Curbed. 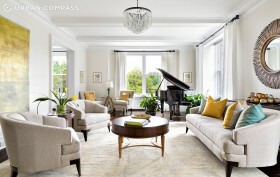 Actor Bruce Willis and his wife Emma have listed their six-bedroom apartment at 271 Central Park West for $17.75 million. 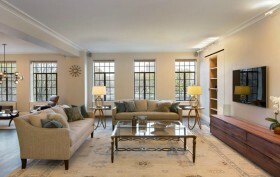 The spacious, 6,000-square-foot apartment boasts 4.5 bathrooms, a library and 150 feet of Central Park footage. 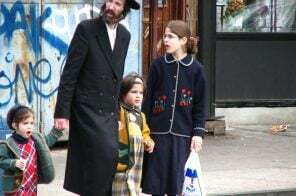 According to Mansion Global, the couple decided to sell their apartment, which they first purchased for nearly $17 million in 2015, because they need to spend more time together. 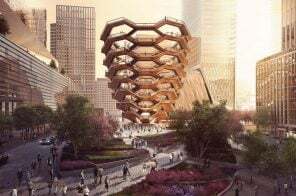 Although the duo is leaving Manhattan to possibly relax at their home in Bedford Hills, Willis said he’ll keep loving the Uptown neighborhood. “I’ll always be an Upper West Side guy. I’ve been living up here on and off since the ‘70s,” he said in a statement. Maybe we haven’t seen Bruce Willis in a new movie in a couple of years because he’s been too busy unloading and buying real estate in New York. First there was the $12 million, 22-acre buy in Bedford, then the $13 million sale of his El Dorado co-op, and now he’s purchased a $17 million six-bedroom duplex at 271 Central Park West, just a few blocks away from the El Dorado digs and not too far from the unit he owned before that at Trump Place on Riverside Drive. Clearly Willis likes the Upper West Side, and it looks to us like he’s having some fun climbing up the luxury-listing ladder. Lots of Hollywood celebrities are making waves in Bedford, New York this week. Just after it was reported that Michael Douglas and Catherine Zeta-Jones sold their home in the woodsy Westchester town for $7.5 million, in turn closing on a nearby property for $11 million, it’s now making headlines that Bruce Willis has dropped $12 million on two Bedford parcels totaling 22.32 acres. The actor has been very busy with real estate lately. He recently listed his Sun Valley ski house and Beverly Hills estate and bought a Central Park West apartment. Willis and his wife Emma Heming will now get to enjoy the 8,000-square-foot, shingle-style home, as well as the adjoining property’s antique house and two renovated guest cottages.